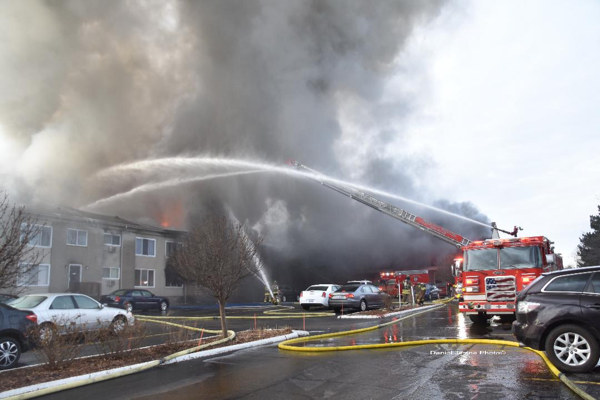 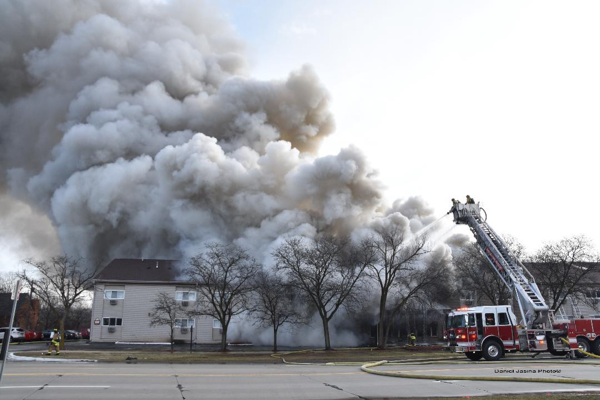 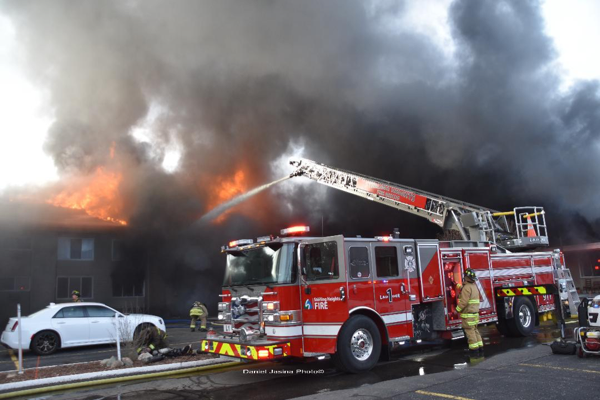 This 3-Alarm fire occurred in Sterling Heights MI on Christmas day, 12/25/18 in an occupied apartment building. 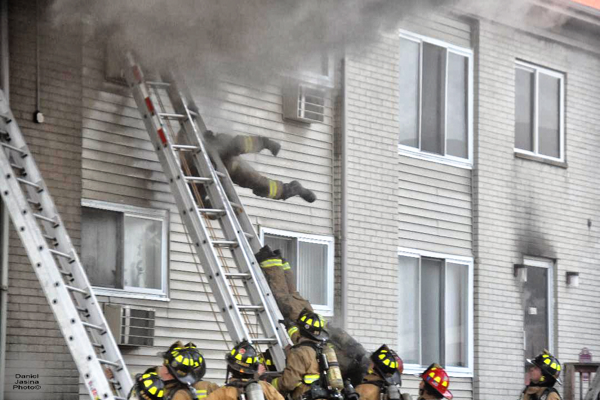 The first image shows two Sterling Heights firefighters bailing out of a second floor window after calling a Mayday. 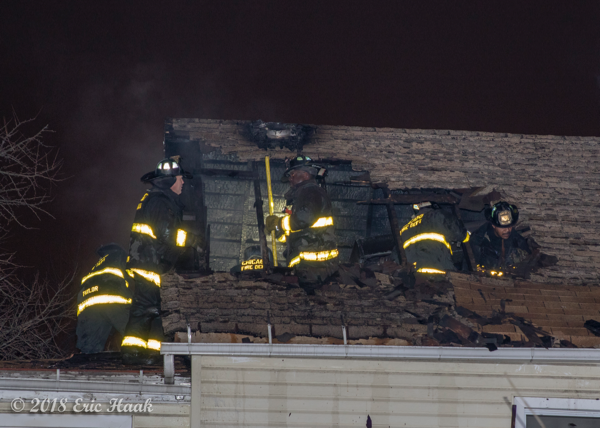 One went down the ladder head first and the second jumped. 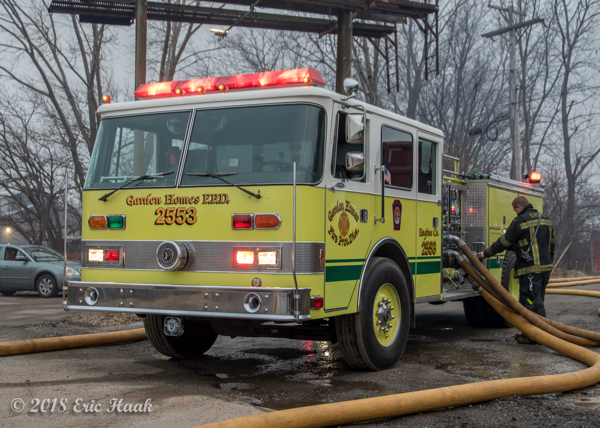 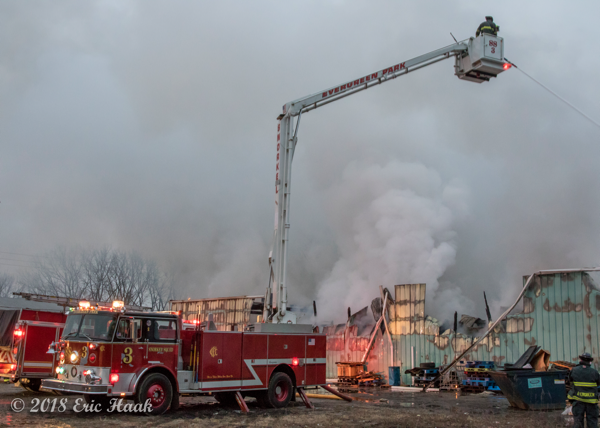 Seven mutual aid departments responded to the scene, another three were used for station coverage. 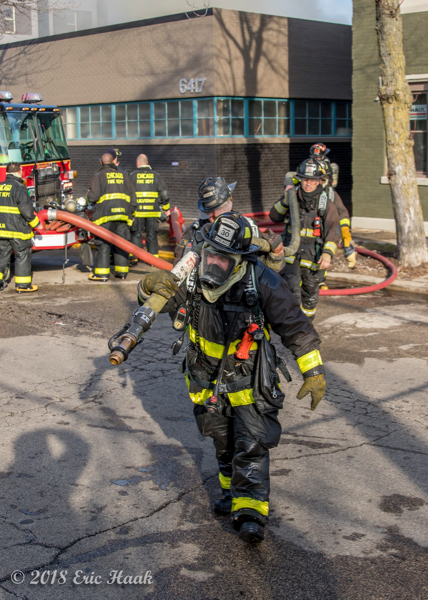 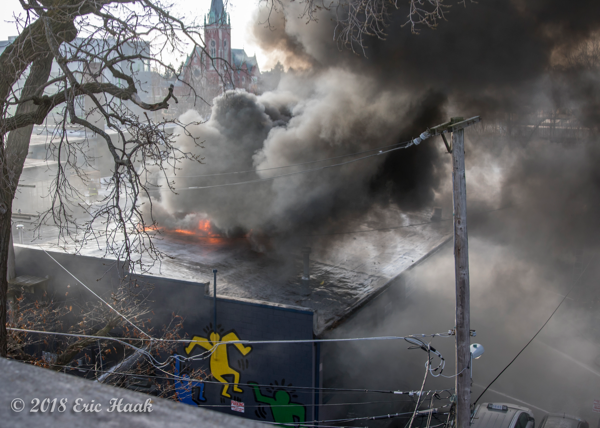 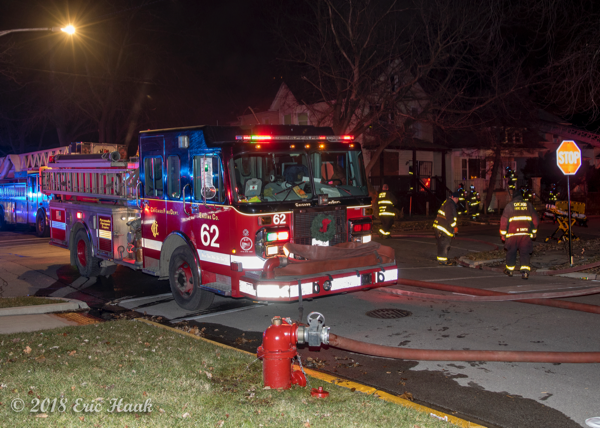 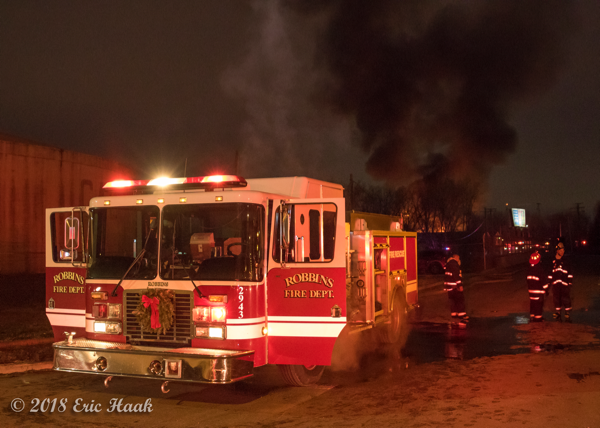 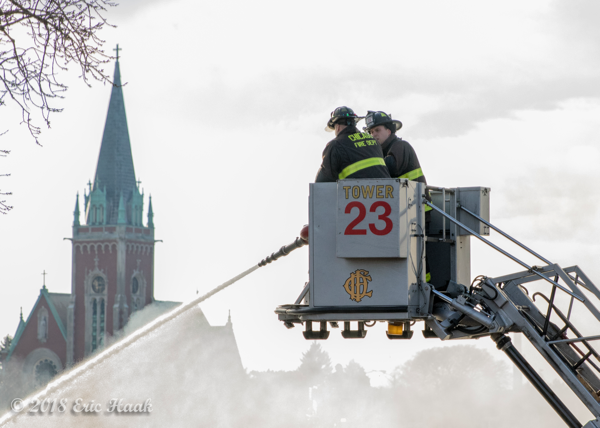 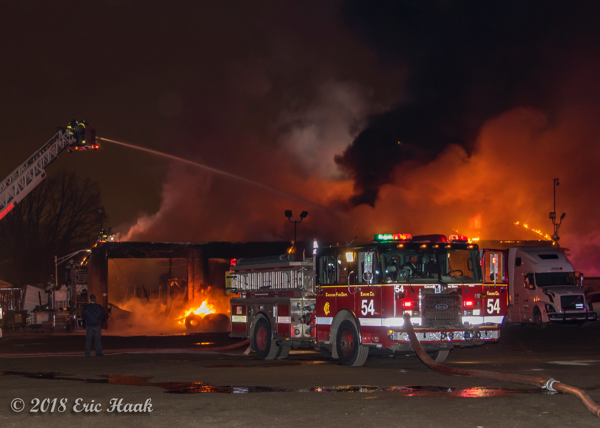 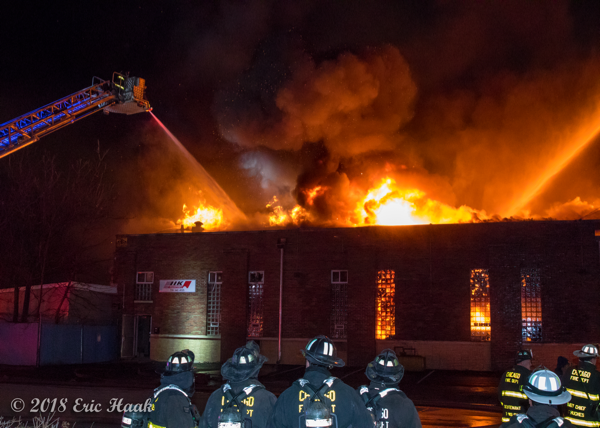 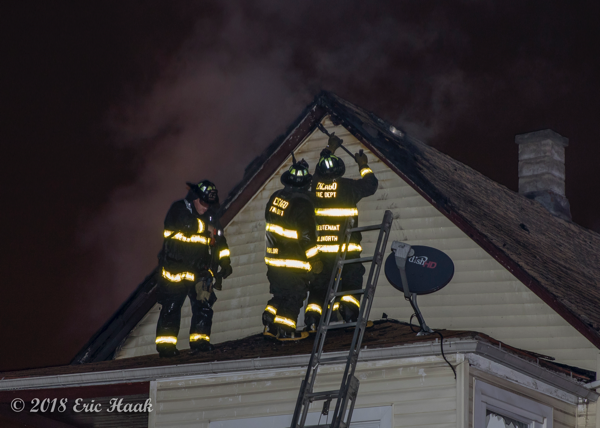 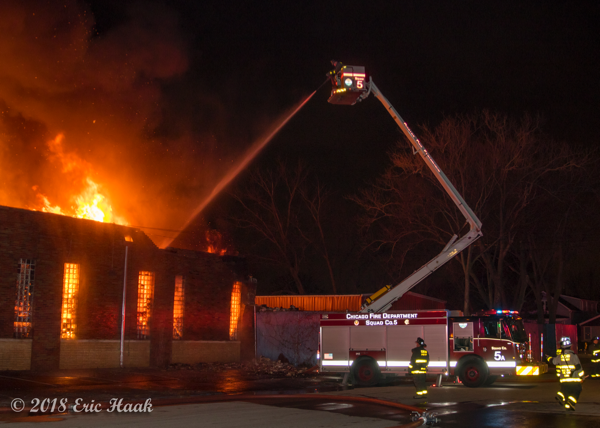 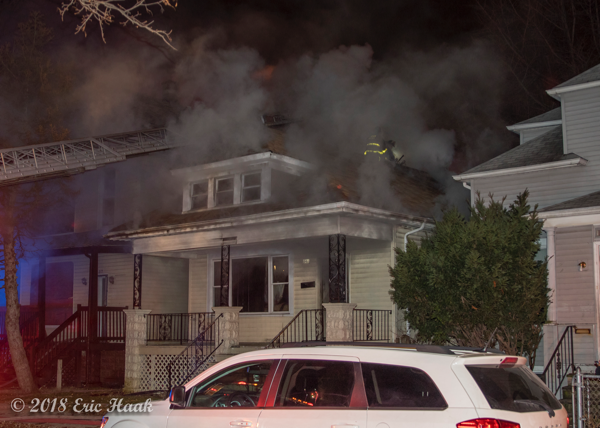 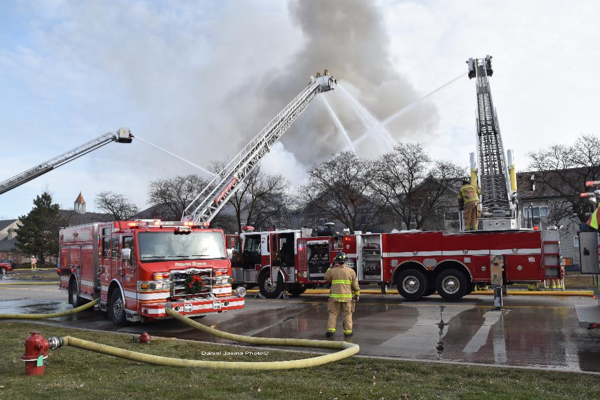 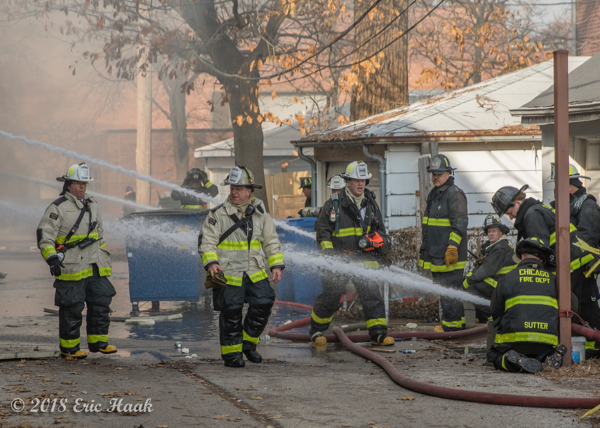 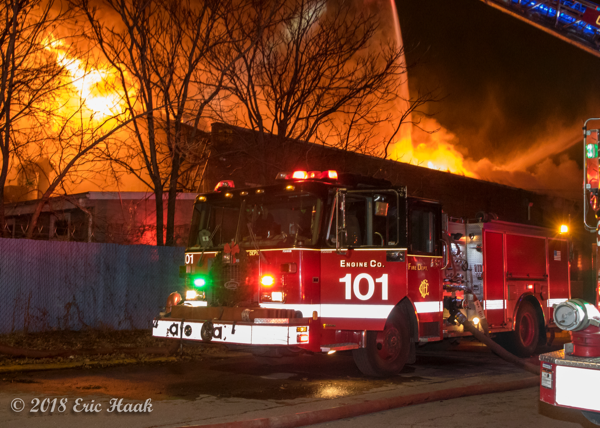 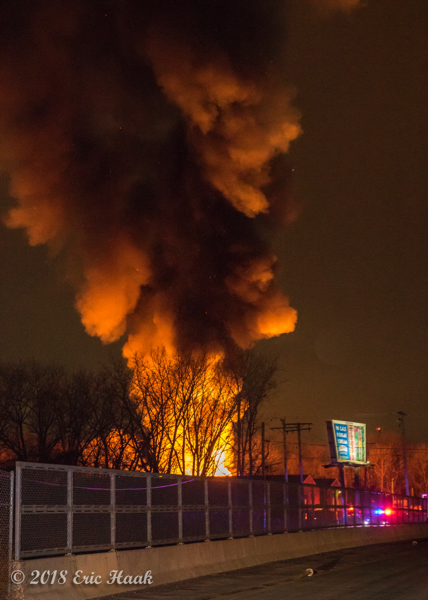 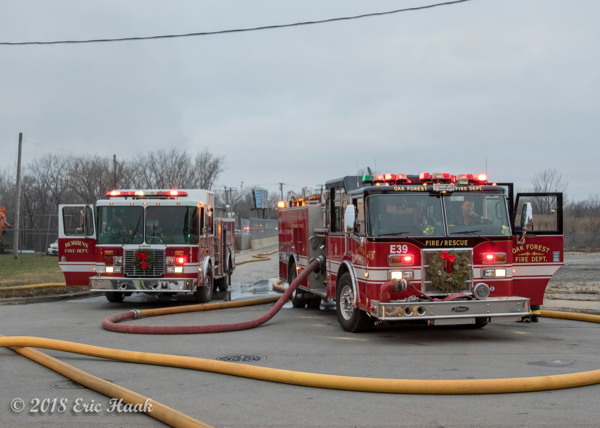 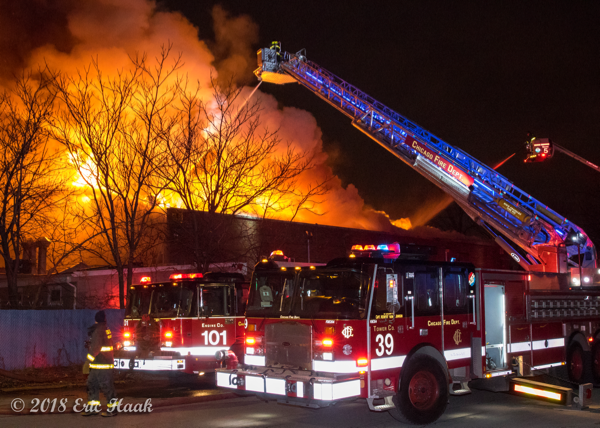 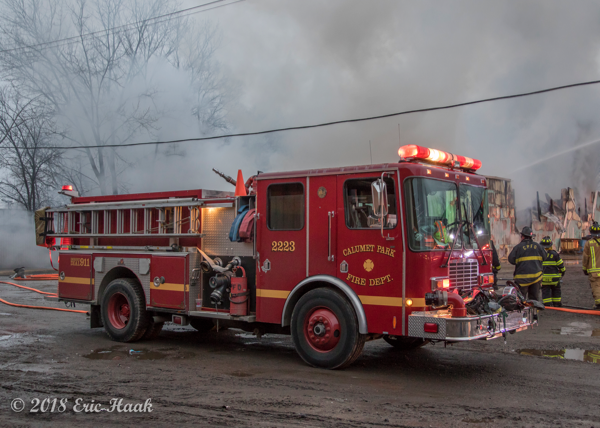 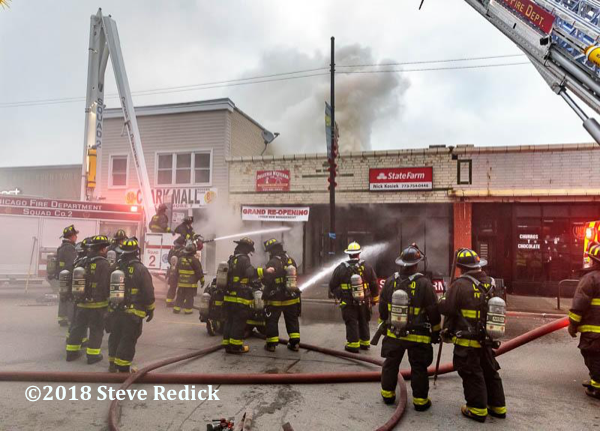 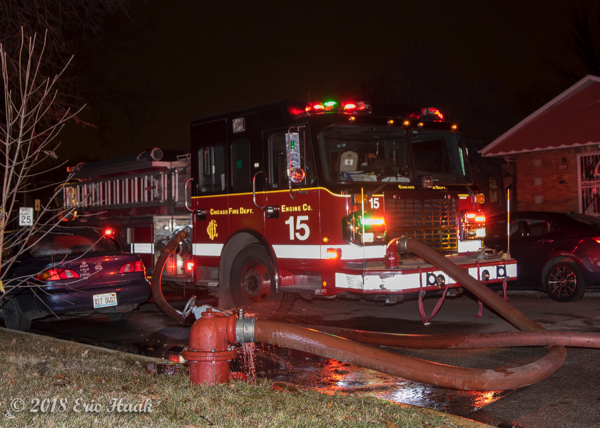 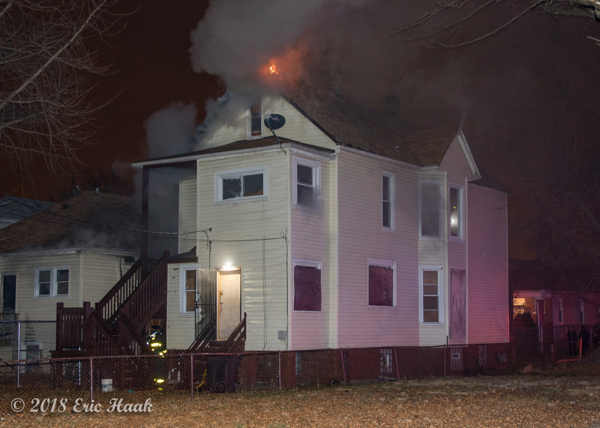 Here are some images from a Mabas Box Alarm fire in Calumet Park, IL Saturday morning (12/22) at 12320 S. Page Street. 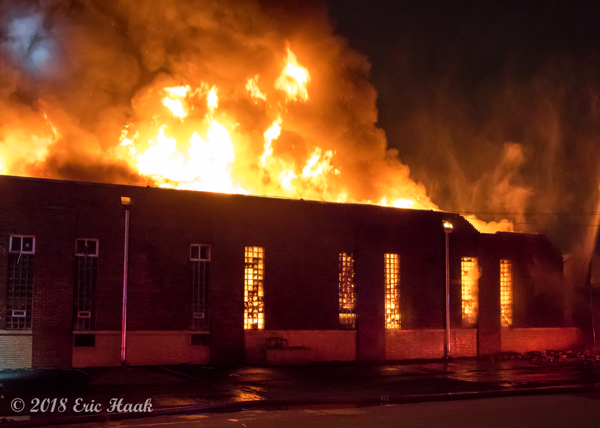 The fire came in at 0600 and the back end of the building was already fully involved when the first companies landed. 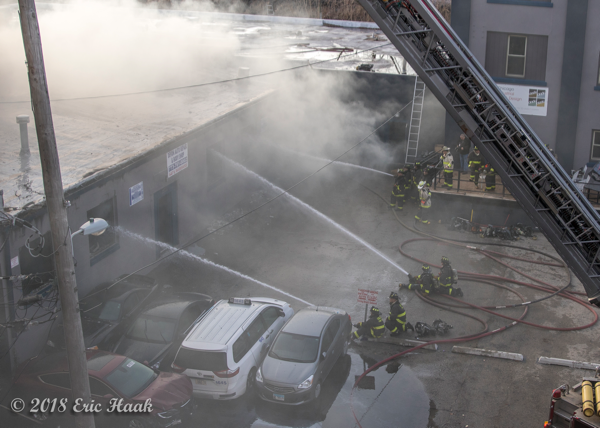 The nearest hydrant was over 1,000 feet from the structure and companies had to go in line to supply water. 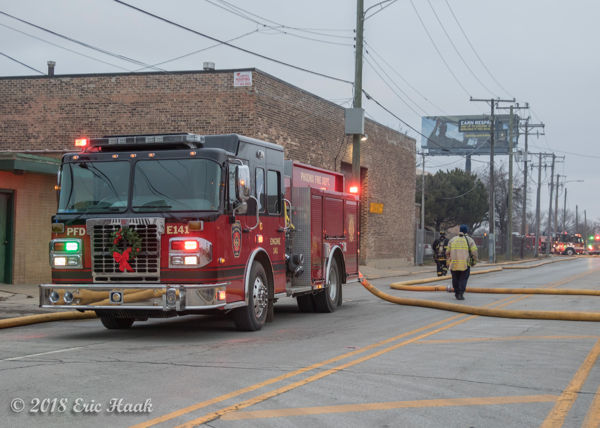 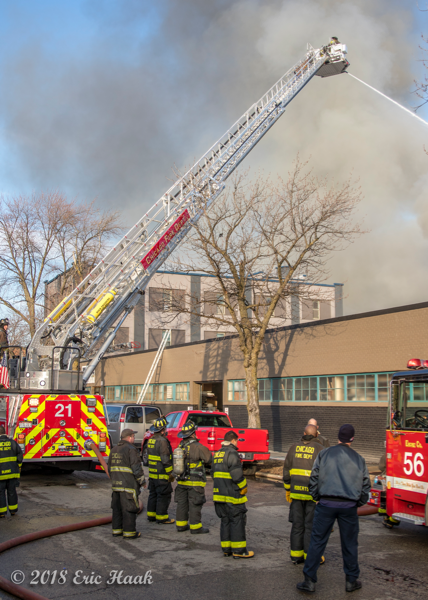 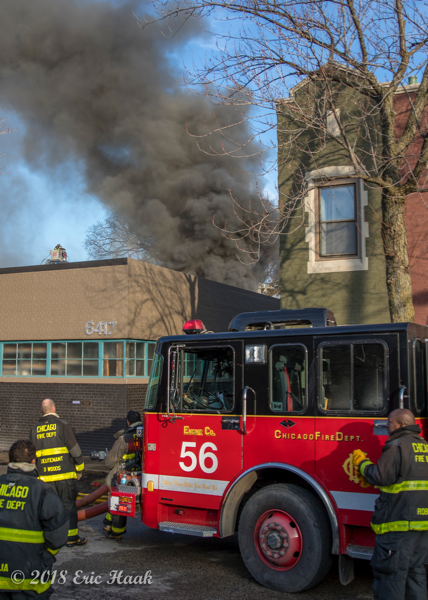 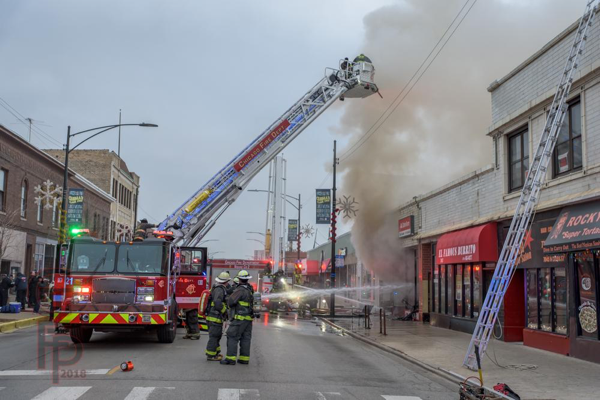 Chicago had a 2-11 Alarm fire at 6417 N Ravenswood this afternoon (12/22). 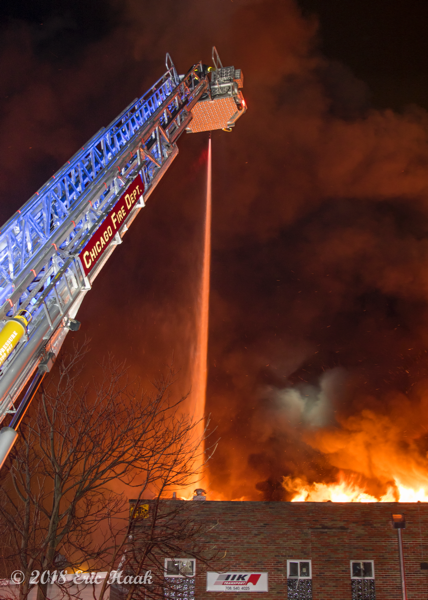 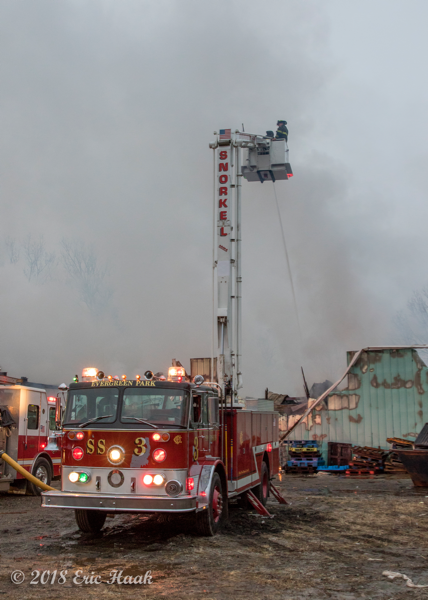 The fire was in a 1-story commercial structure and was contained mostly to the 75×75 rear section that had a truss roof. 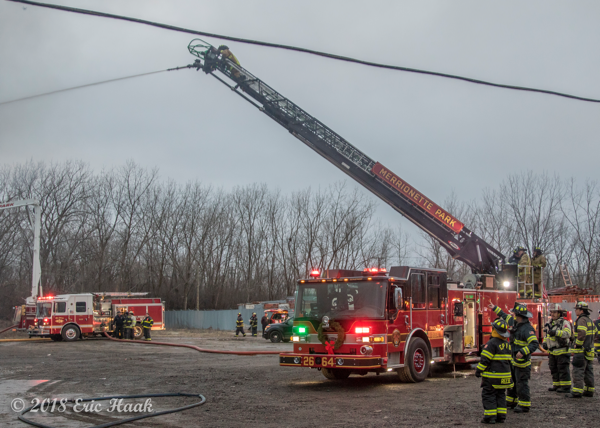 The fire eventually burned through the roof and Tower Ladder 23 and the new Tower Ladder 21 were used to bring the fire under control.